I never imagined that I would be a cellphone person, let alone a smartphone junkie. I got my first Kyocera when I was well into my 20s and for emergency use only. In fact, I can count on one hand the different cellphones that I’ve owned since then. I never dreamed that I’d truly come to rely on, dare I say love one as much as my iPhone. 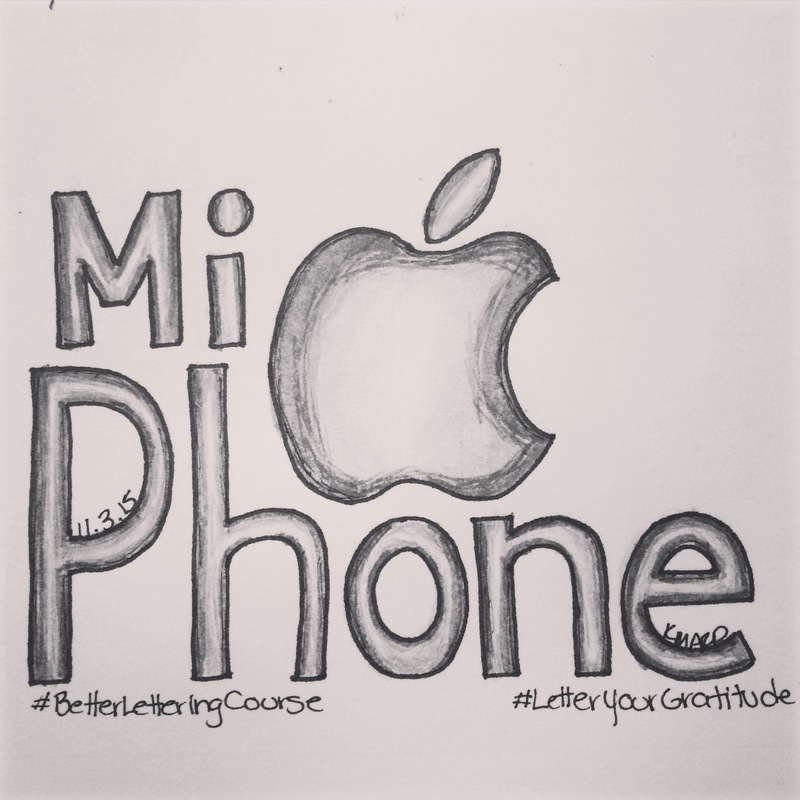 No, I don’t need a smartphone, I proved that to myself during my time in the Peace Corps. However, it is certainly convenient having Google in my pocket all day long! That brings me to the Better Letteting Course November challenge on Instagram… The prompt for day 3 was: a modern convenience. Today I used my Sharpie medium pen, Crayola Supertips, and the Faber Castell S pen.